There is so much to see and do in London: Madame Tussaud's, Buckingham Palace, and London Eye, to name just a few of our favourite sights. But after a few busy days exploring you’ll be ready for a change with an afternoon of shopping. But with so many places on offer where should you go? We’ve whittled it down to our favourite shopping locations including famous department stores, markets and hidden gems. 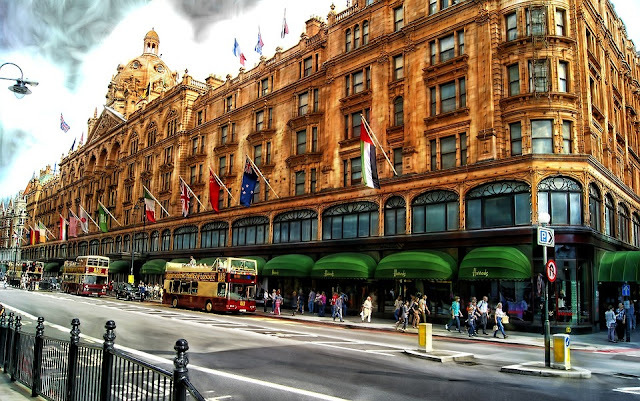 In Knightsbridge doormen open the doors into Harrods, a shop unlike any other. It is awash with marble, gilt sphinxes and probably Arabian princes’s. Not forgetting what you can actually buy in the store: designer handbags, one of a kind dresses, and the shoe department (a whole floor) claims to be the biggest in the world. Oh and there are a few departments for men as well. A fun amusement can be to set oneself a test to find anything under £10. It’s quite a challenge. Selfridges is another fashionista favourite, famed for its extravagant window installations which in the past have included a Mad Hatter’s tea party, Santa on a scooter and a herd of galloping zebra. This is a plush temple to fine foods, teas and wines and has been in business for more than 300 years. 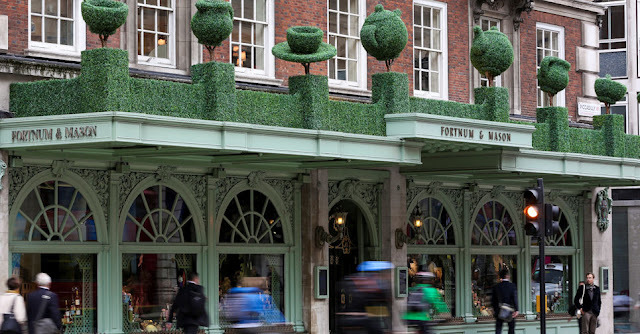 It’s premises oozes luxury, even the rooftop beehives, which supply the store’s own-brand of honey, are palatial dwellings for their tiny inhabitants. Goods range from truffles to mustards, and of course not forgetting their famous hampers. There are five impressive restaurants. In the 1707 wine bar you can sip a bottle of your choice from the excellent wine department. 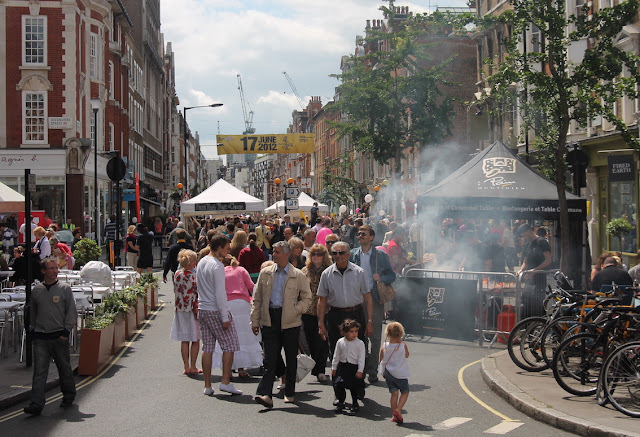 North of Oxford Street is Marylebone a polished enclave of upmarket shops. The Edwardian Daunt Books is London’s loveliest bookshop. Its stained-glass windows and book-lined galleries make it highly instagramable. 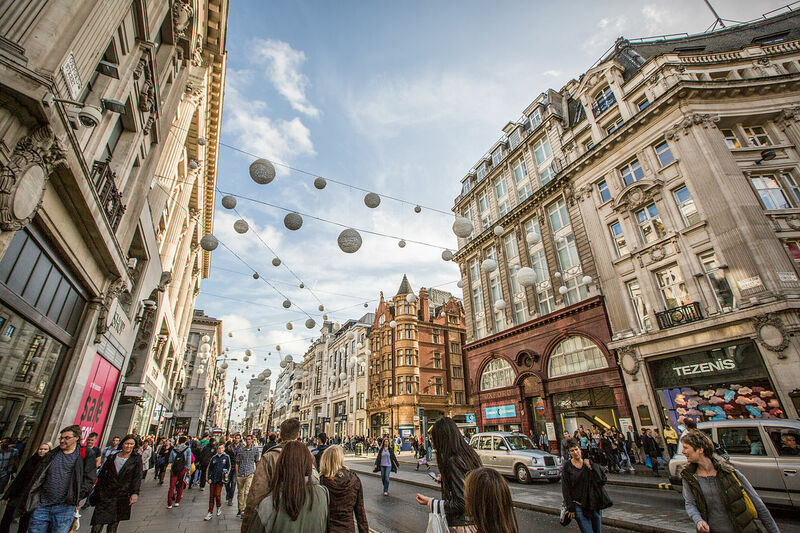 We recommend taking a stroll along Chiltern Street, a handsome Victorian-Gothic thoroughfare lined with stylish independent boutiques and cafes. This long time favourite has recently had some impeccably cool shopping options arrive including a huge apple store and the beauty boutique Aesop. The historic covered market building attracts troupes of performers to entertain shoppers, especially under the portico of St Paul’s church. Wandering by you may catch a burst of an aria from Madame Butterfly or Carmen. It’d be the perfect taster before an evening at the Grand Opera House. 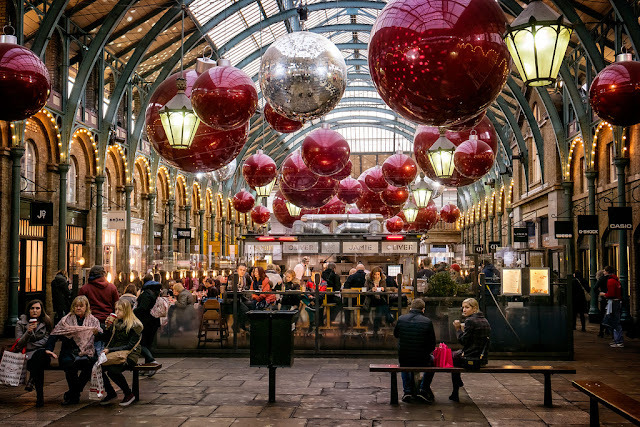 Moving away from the high end shops, an essential part of London’s culture are markets, and there are plenty to choose from. In these fascinating and varied street pop ups you never know what you might find. Temptation is all around at this sprawling food market. We recommend you head out hungry to take advantage of the rolling cheeses, olives, pies and cakes. 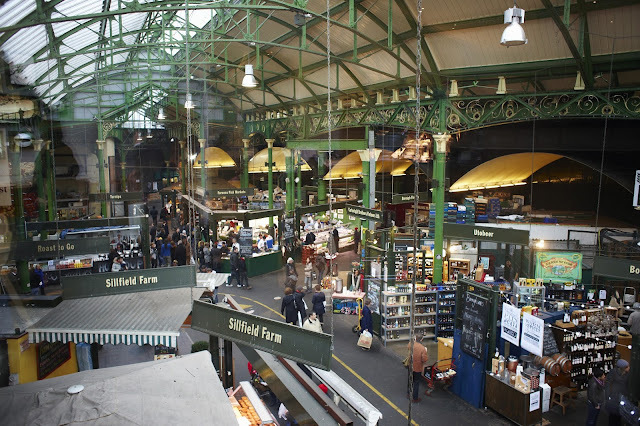 Highlights include Cannon and Cannon’s artisanal British cured meats and Kappacasein’s amazing toasted cheese sarnies. The days of wholesale fruit and vegetables are long gone at this Victorian market. 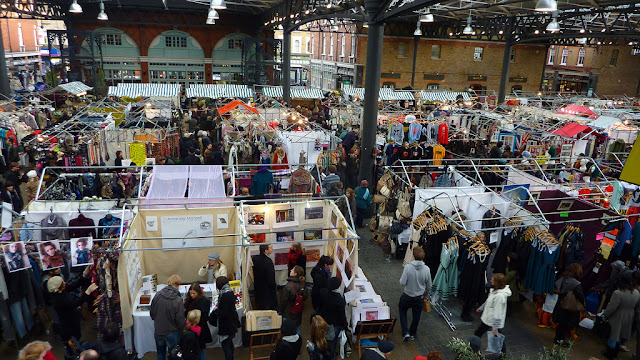 Instead expect an arty array of hand-printed T-shirts, vintage dresses, bric-a-brac and food stalls, surrounded by a sleek shopping precinct. 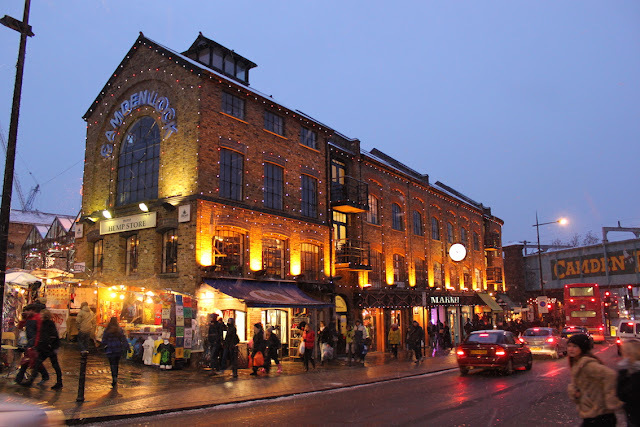 For hip and counterculture fashion go no further than Camden market to pick up neon tutu’s, studded jeans and arty-crafty accessories. The market’s various subsections sprawl north from Camden town tube, the perfect labyrinth of unusual clothing and eccentric hairdos. There are also plenty of fantastic secret shops tucked away in London’s bustling streets. Check out Choccywoccydoodah a colourful boutique shop elevating chocolate to an art form with plenty of edible sculptures, extraordinary cakes and a cosy cafe. Through the Looking Glass is a treasure-trove of Alice's Adventures in Wonderland-themed items. If you are in search of an old fashioned yacht chandler then go no further than Arthur Beale. Or if psychedelic clothing is more down your street hit Cyberdog with its pole dancers and light up T-shirts. Finally a shopping spree is not complete without a stop in Hoxton Street Monster Supplies where you can purchase all the essentials from tinned fear to cubes of ear wax. 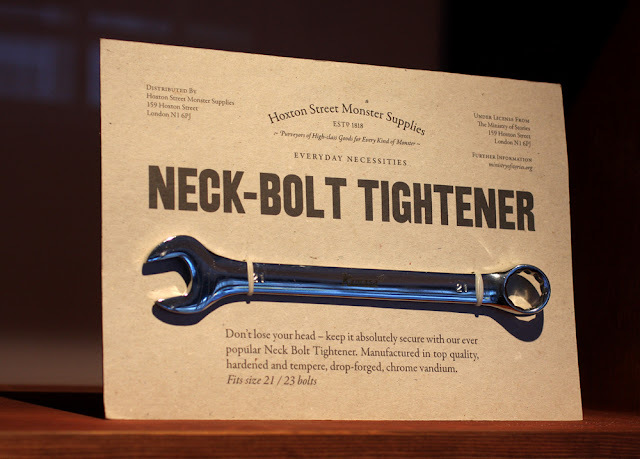 It’s been in business since 1818! Well, we think we’ve given you plenty options for a packed afternoon of shopping. We hope you enjoy.